Join me and my Festive Foodies buddies as we share some wonderful treats for you to make! Just take a look at the goodies on the list below. You should check them out. You really should. The thing I like about the Pumpkin Peanut Balls is that I feel like I am getting a bit of a treat while trying to stay away from sugar. I know that sugar is bad for my body and I want to do all I can to make good decisions about what I put into it. 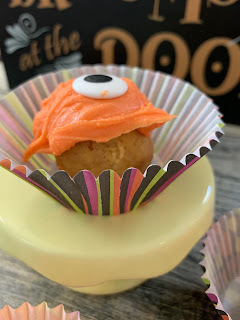 These Pumpkin Peanut Balls help me stay focused on my health goals while still feeling like I had a treat. My family went "nuts" over these and I hope you do, too! There's no icing holding these cake balls together, just pure pumpkin and peanut butter. So delicious! Shred baked cake with a fork. I tear off the edges and set them aside but you can work them in. Stir together pumpkin and peanut butter, then pour onto cake. Work the mixture and the cake together until all the cake is coated. Form 1" balls, place them on a cookie sheet covered with parchment. Refrigerate until firm. Melt the white chocolate chips and the Crisco in the microwave in 30 second intervals, stirring after each. Add paste food coloring in orange and mix well. Dip the balls in the white chocolate, place on the parchment until all balls are coated. 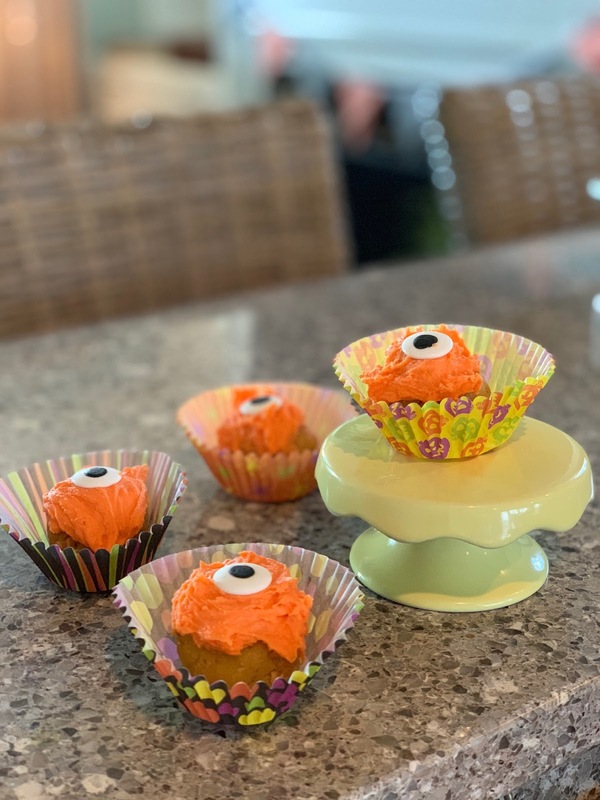 For a little Halloween fun, add candy eyes to the balls.